The foodie community wept when The Marmalade Pantry announced back in mid-2018 that it was closing it’s outlet at ION Orchard. A beloved high-tea spot in the heart of town, we fell in love with everything there from their charming ambience, innovative brunch dishes and a wide selection of artisanal teas and cakes. Well, surprise, surprise, the home-grown bistro is set to return to its former premise on the 4th level of ION Orchard once again. 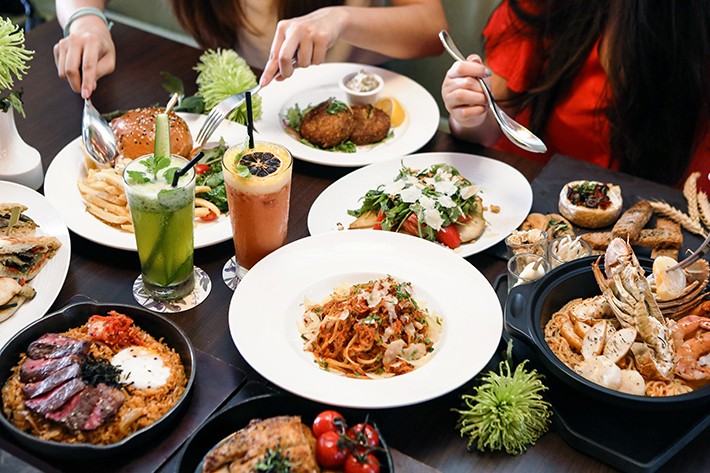 This time, armed with a tasty arsenal of new dishes in addition to signature favourites such as their Spicy Crabmeat pasta and Sticky Date & Toffee Pudding. Looking forward to other new and exclusive to this outlet dishes like the stellar high-tea set and a trio of decadent desserts specially crafted by Masterchef Singapore’s runner-up, Chef Genevieve Lee as part of a collaboration that pays humble tribute local dishes and in support of local talent. With a whopping total of more than 10 new and exclusive menu items and more, be wowed by the likes of their new Asian section, featuring the Kimchi Fried Rice, served with a gorgeously pink medium-rare strip loin and the Singapore Laksa, a homage to our beloved local dish but with the addition of slipper lobster. Looking to pamper yourself as you catch up with friends? Their Decadent Afternoon Tea Set comes with a variety of sweet and savoury confectionery delights and freshly brewed pots of tea by Monogram. Previously a coastal road situated along the island’s old waterfront, Telok Ayer has transformed into a hip and busy neighbourhood teeming with cafes and restaurants to feed the CBD office crowd and avid café-hoppers. From idyllic garden-themed cafes, burger joints and Korean eateries to cocktails at inconspicuous bars, choosing what and where to eat has never been harder. Surrounded by a mix of old and restored shophouses and modern high-rising buildings, Telok Ayer is filled with a combination of rich heritage and modernity. If you have not ventured to this side of Singapore before, here is your Telok Ayer Food Guide – 14 Bistro and Cafes To Check Out In This Bustling District. The Wired Monkey is a new speciality coffee shop nestled just off Little India along Dunlop Street. Besides serving up amazing coffee, they also have some interesting food offerings that delve away from your typical cafe fare. Their Falafel Burger comes highly recommended and their banana cake is the perfect accompaniment for your freshly brewed coffee. The Wired Monkey uses a blend of coffee from Tiong Hoe Specialty Coffee, a veteran in Singapore’s coffee scene. If you’re tired, The Wired Monkey is, without a doubt, an excellent place to get wired. Run by a team of experienced chefs from a multitude of culinary backgrounds, Edwin & Cooks is the newest kid in the Upper Thomson enclave. What initially started off as a kitchen and storage space for private chef services for parties and events, is now a bistro on its own. The good folks at Edwin & Cooks serve up delicious fusion cuisine, munchies as well as a variety of alcoholic beverages for you to sit back and relax to. The talented chefs constantly work hard to update their menu every now and then so as to ensure that customers will always have something to look forward to. 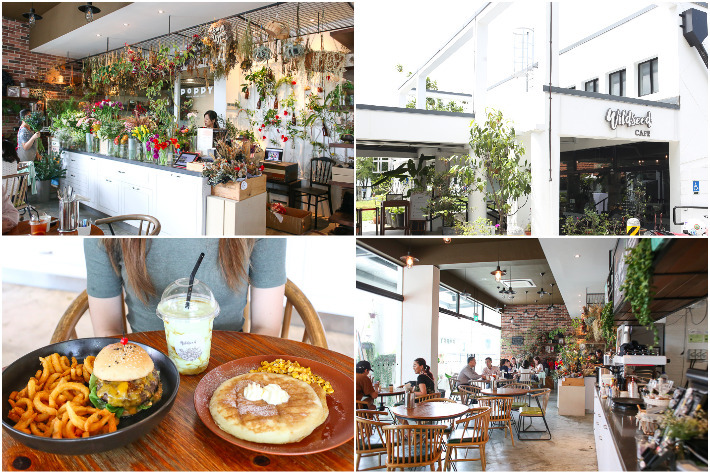 Located at Thomson V Two, this new spot is a place worth checking out. With the opening of Hillview Community Club, residents and those who are working near the area now have more dining options apart from restaurants and cafes at HillV2. One cafe that stood out among the rest of the casual dining spots there is Kohi-Ya. Opened by the team behind Ninepress who also runs Kyu Coffee Bar at Prudential Tower, Kohi-Ya offers Asian cuisine that comes with a Creative twist. Think udon served with Mentaiko sauce, wagyu beef balls doused in Japanese curry and more. One thing that all foodies can agree on is that we are constantly on a see-food diet and there is no stopping us when a feast of tantalising seafood is laid before us. The joy of getting down and dirty with crabs, mussels and prawns is so appealing and should this experience come at an affordable price tag, what is there not to love? 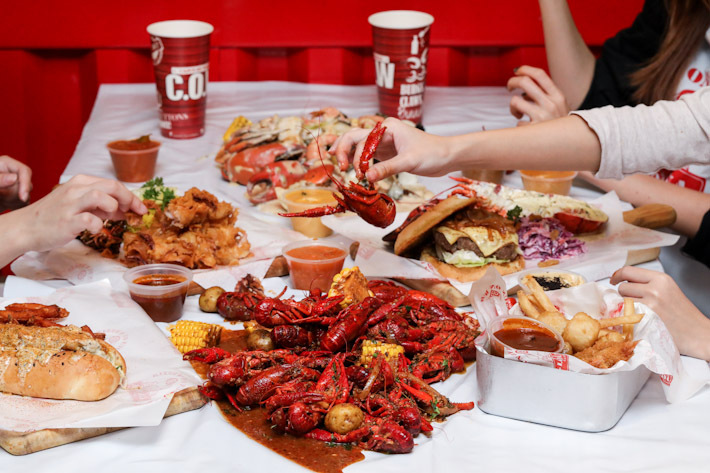 Located on Level 3 at the new extension of Plaza Singapura, Cajun On Wheels is a Halal-certified seafood diner serving unadulterated and fresh seafood in true American fashion. This is their second outlet—after their first food truck at Pasarbella Suntec City—and you would be delighted to know that their menu at Plaza Singapura is exclusive to that outlet too. As its name says, Cajun On Wheels is a Cajun-themed diner and you can expect all dishes on its menu to pack a punch.